I am so excited to be a part of the Back to School Product Premiere! Lots of amazingly talented teacher sellers will be showcasing one of their products from their teacher store, to help make your back to school shopping experience quicker, easier, and more exciting. I have decided to showcase my Topics to Write About cards. Your students will never again complain about not having anything to write about. Just print, laminate, and cut out the cards and display them in a pocket chart, card file box, or on a ring. Not only will they be helpful to your writers, but, they will also look stunning in your classroom. Time saver for me and will have great kid-appeal this fall. Can't wait to use these! No more "I don't have anything to write about". 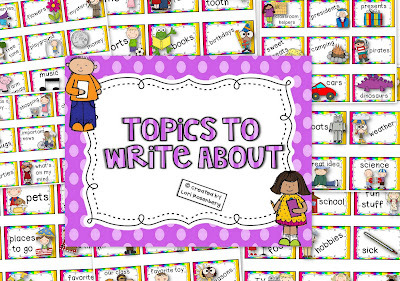 Great resource to help my budding writers!! Love These! Can't wait to use them in the classroom! Awesome resource! I am SOOOO happy that you added these to your store! I was one of the people on your blog asking for them. I can't wait to have this available for my students next year. Love it! How many times do we hear they can't think of something to write about? Thanks for making this available! These cards are just what I need for my writing wall. There are lots of writing ideas! I can't wait to get them printed, cut out, laminated and put into a pocket chart! I love this! It will make my writing center 100% more engaging! 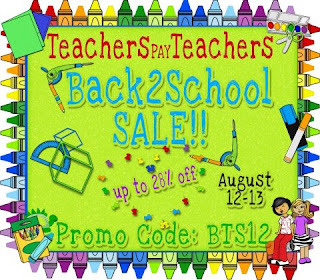 I hope you enjoy the Back to School Product Premiere, brought to you by many of my favorite teacher sellers! All of the products you see will be on sale during the Teachers Pay Teachers Back to School Sale! If you're anything like me, you're already loading up your cart so you can take full advantage of the savings. I am so excited for the sale! I hope I don't spend all my profits! Ha ha ha! *I wish I would have known about the linky!! I seem to miss out on those things! Just added it to my wish list!! Looks fabulous - can't wait to add it to my writing center this year!! eeeeeeee!!!! These are perfect. I love the idea of having them available as cards that can be switched around. . . great idea. Thanks for also showing how you display them. I'm pinning you and heading to your TPT right now. 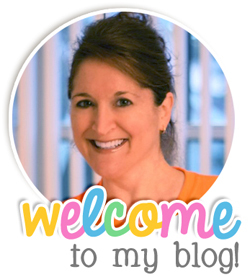 My new blog design...and a giveaway!